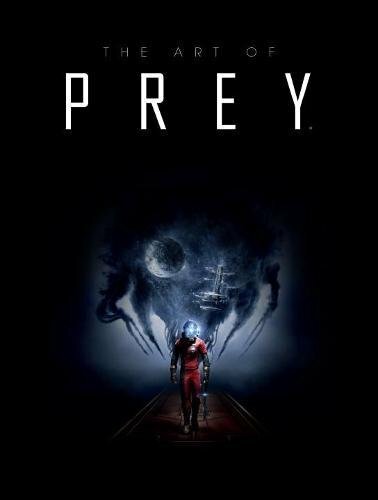 This is a splendid video game artbook for Prey, the sci-fi action game from Arkane Studios, creators of the Dishonored series. Collected with this 184-page hardcover are wonderful concept artworks for the game. The bulk of artworks features environment and interior design art of the space station Talos I. The art looks very polished. The interiors are absolutely gorgeous, like they are designed by renowned interior designers. There's class, sophistication and a futuristic feel. The props are so believable, things like furniture and all the mechanic stuff. I've seen sci-fi environment art that are too sterile but here in Prey, they are done well, mainly because of the attention to details, lighting and overall art direction. Equipment, gear and character designs are allocated fewer pages. The art is still fantastic though. There are also some development art that's not used in the game but to help designers get a sense of what the game is about. You can also see some storyboards, and poster-like illustrations. The text throughout provides the context in relation to the game. There are spoilers when you get to the back of the book so be warned. Overall, it's a very well done artbook loaded with beautiful artworks. It's definitely worth the price. I can easily recommended to fans of the game and sci-fi art.